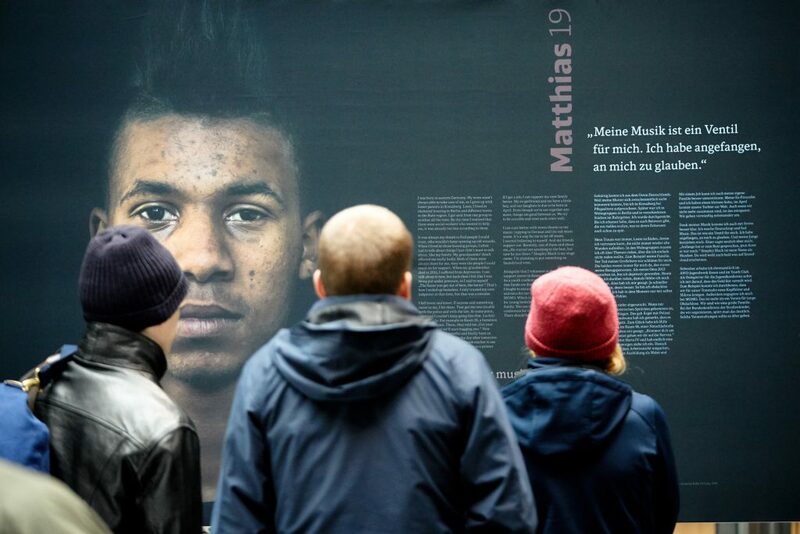 (Frankfurt am Main/Berlin, 29 January 2019) The Deutsche Bahn Foundation will be “decoupled” until summer 2019 with its travelling exhibition: from 6 to 15 February 2019, twenty impressive photo portraits at Frankfurt Central Station will draw emotional attention to the socially relevant topic of youth homelessness. The exhibition can be seen in Frankfurt Central Station on the action area in the main hall. In Germany, thousands of young people are homeless and grow up on the streets – without parents, school or job. The exhibition gives these people a voice and a face. Young people talk about life on the street from their own experience. When they came to the point of wanting to make it on their own. How they found the strength to do it. Where they organized help. How they work for new opportunities. What they dream of. Initiated by the Deutsche Bahn Foundation, photographer Mauricio Bustamante and author Annabel Trautwein visited and accompanied numerous young people last summer. This is how the impressive portraits of the young people were created. The exhibition is curated by Claudia Rösler of the Deutsche Bahn Foundation. After “decoupled” in November 2018 by Dr. Richard Lutz, Chairman of the Board of Deutsche Bahn and Chairman of the Advisory Board of the Deutsche Bahn Foundation, Frankfurt am Main is now the third stop after Munich and Cologne for the travelling exhibition 2019. The show will be shown at more than a dozen German stations. The next stop to Frankfurt will be Stuttgart Central Station from 18 to 27 February 2019.